After finding Doug on Singletrack, and having 2 and half great days begin guided by him, I used the excuse of it being my 40th to extend the trip to 5 days. Just the right amount of time on a bike. Doug didn’t disappoint this year either, with a 50/50 mix of old and new, we spent the 5 days riding totally different types of terrain each day. 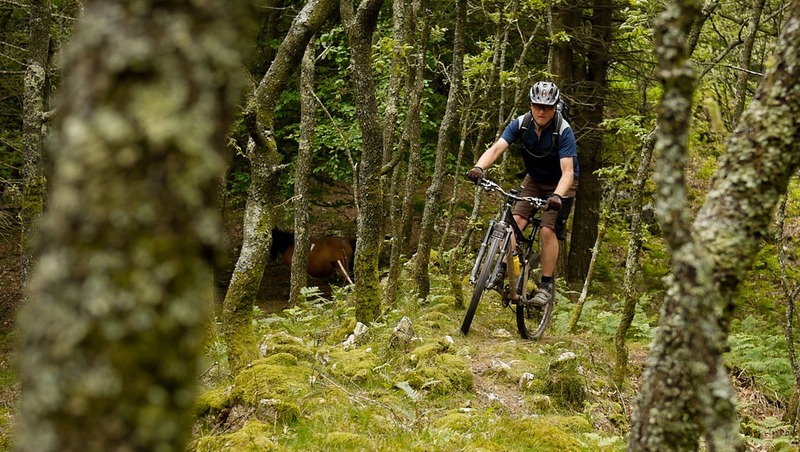 If you can only take one holiday, then with BasqueMTB you’ll make the most of your time away. The view of the beach from the flat was also most welcome, and we finished most days with a dip in the sea to cool off. I remember doing this route last year, in the rain. This year with a swapping over of the beginning and end bits, plus the fantastic weather it was a real blast. We started with some gentle cross country, which took us up to the fort. From here we did the fast decent which we started on last year, much better to be hitting it nicely warmed up. Lunch on by the sea, before doing singletrack ups and downs around the coast. A monster climb up to the view point, before descending down the most awesome track back to the bar. What a great start to the holiday. Big day.Big, big day! When I read Doug’s blog on this big mountain route I knew I wanted to do it. It starts with a wet, sketchy cobble decent before the main climbing begins. No uplift today! We soon hit a small canal covered in reinforced concrete slaps, what a strange clattering noise. Then a few hours of technical but rideable (not by me but well done to James and Doug!) climbs. 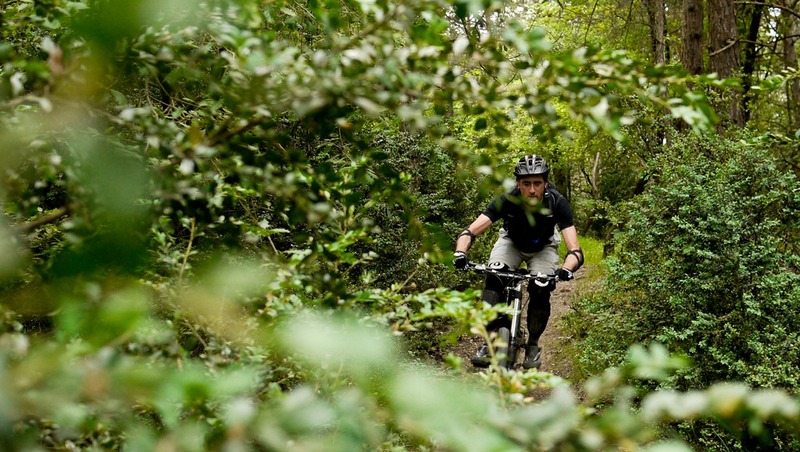 Some really nice singletrack through some ancient woodland, before a hike a bike to the summit. 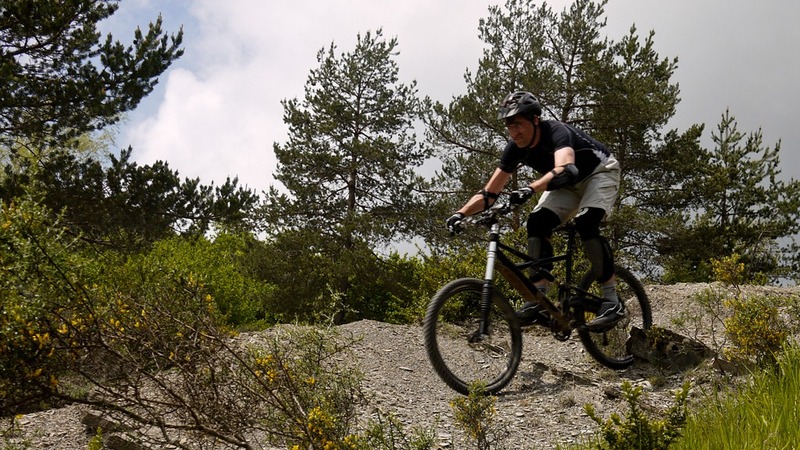 From here there is contour following technical singletrack that needs some care to avoid bashing the peddles. Super fast fireroad clears the cobwebs before a final piece of techie singletrack through the woods before heading into the village we started in for a beer. Feel totally spent at the end of it, but a great feeling of achievement. After the big day, we got a big uplift and quickly got to nutcracker. Nasty downhill to start which took James out. Much improved skills and the trail in the dry helped a lot. Then some lovely technical climbing across old roman road going through many river crossings, I really enjoyed this section but it might not be for everyone. Then another uplift, with a lovely lunch. Final bit of climbing before some really nice singletrack, starting contoured then went wider, rockier and swoopy. Lots of pumping the trail which was nice. Time for the Blue Pill and the Hives today. Last time we rode this it was proper wet and slippy so dusty dry conditions today were welcome. Slow start for me after a little too much wine the night before, but soon got warmed up. Straight onto totally naturally laid trail with some rocky bits and pieces. Quick detour to ride the mountain tunnels to take in the view back to town. Then back up the hill on a nice singletrack climb that passes quickly before lunch back at the van. We then begin the rocky and loamy switchbacks of the hives. 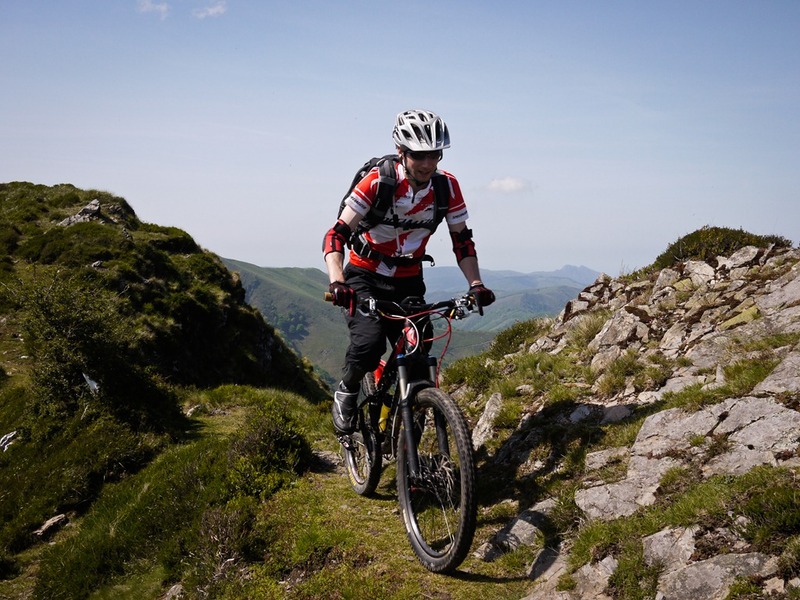 Maximum respect to John for riding it all on his XC bike, one of only 3 people to do so. We then take a monster climb back up (I really enjoyed this but Doug is keen to find another way up as many don’t), before a fast decent to a locally built downhill track. A little bit of fireroad gets us to a lovely little bar, where we wait for Doug to cycle back up to get the van. Not the biggest of days, but great to ride this again, and really pleased how many areas I’ve been able to improve. Headed down to Pamplona for some different riding. These are some locals Trials, so big thanks to them let Doug ride them with us. Day starts with an interesting climb up the pilgrims path, loads of walks heading down it, before turning off for mix of bed rock and lose stuff with loads of grip. Repeated this 2 or 3 times more before stopping for a monster lunch. Then an uplift for post lunch downhill through loads of privet bush. Took me a while to get the hang of it but once I did it was fun pushing the bike around. Nice long descent back to the bar where we had lunch, and a chance to recall the 5 great trails we’d ridden over a cold beer while Doug fetches the van. 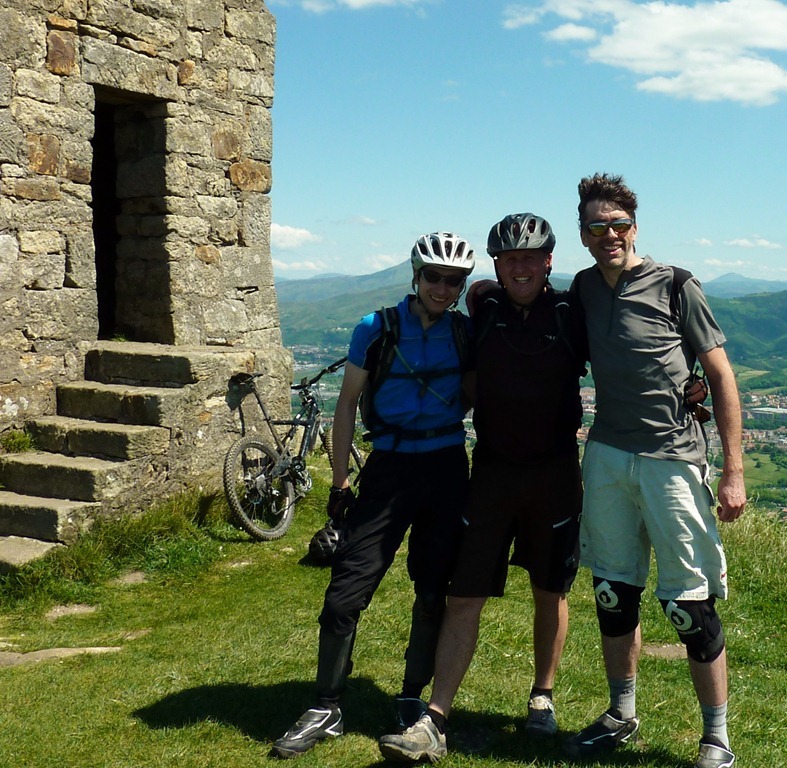 Thanks to Doug at BasqueMTB for providing the pictures and making it such a great holiday. This entry was posted in Holiday, Training. Bookmark the permalink.